A favourite contemporary/transitional dining among our customers! 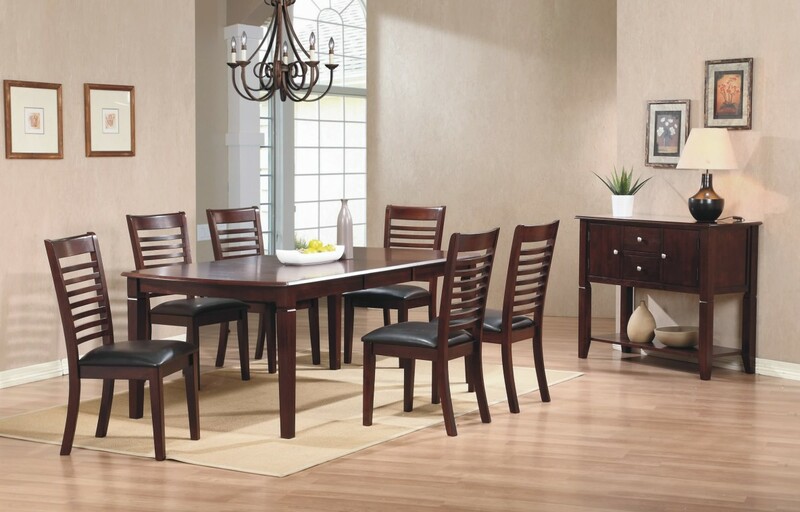 100% solid hardwood table and choice of chairs in dark chocolate finish. Beveled edges and square legs/pedestal accentuate its simplicity in design.